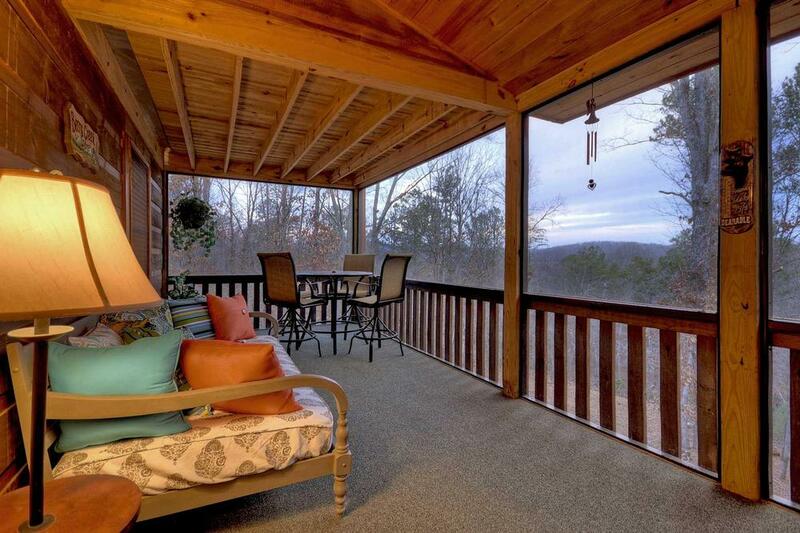 There are a lot of Blue Ridge mountain cabin rentals with great views, charming décor and proximity to activities and recreation destinations. But not all of them will fit your needs. Some have many bedrooms and are great for large families and groups of friends, but are too big for a small family or a two-couple or BFF getaway. 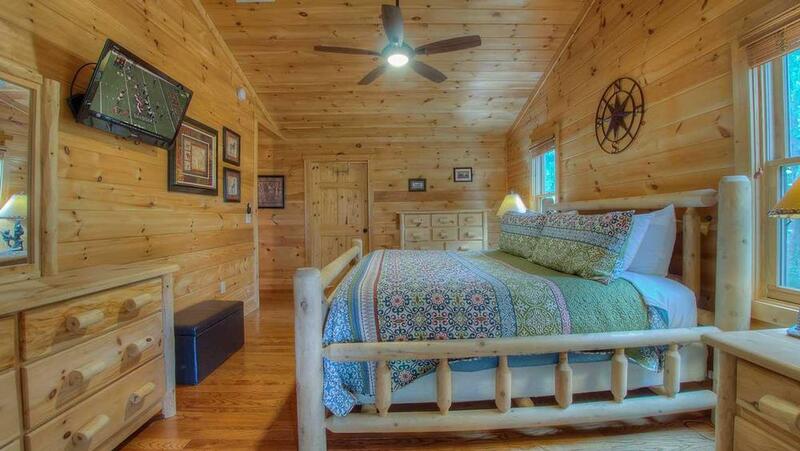 If that’s your situation, the cozy three-bedroom cabin Windy Valley Retreat will fit the bill perfectly. 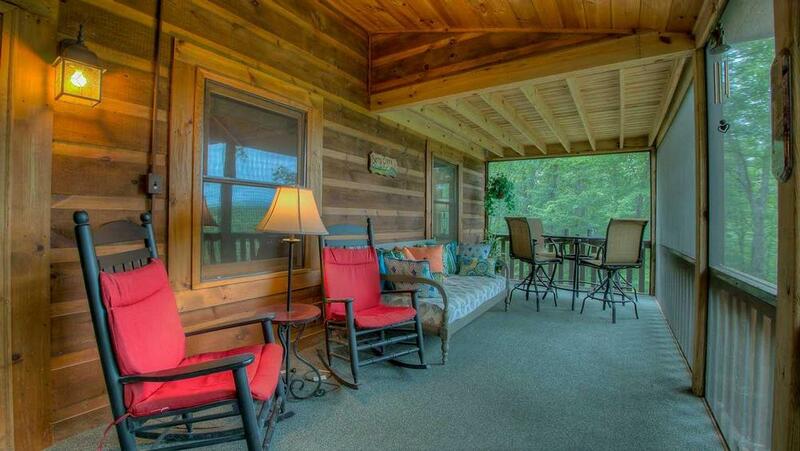 Nestled in the woods with a breathtaking mountain view, the cabin is just four miles from downtown Blue Ridge and its abundant options for shopping, dining and people watching, and hiking trails, orchards, antique shops, and activities like boating, fishing, horseback riding, and mountain biking are close by. The owners love to walk their dog on the property and you can do the same—feel free to bring your best friend with you. 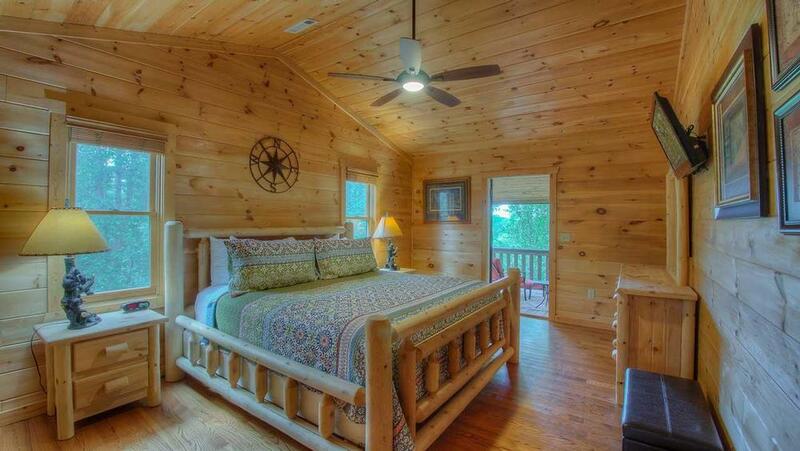 Inside, Windy Valley Retreat is warm and spacious, with lofty ceilings, tongue- and-groove construction, oak floors, and ceiling fans throughout. 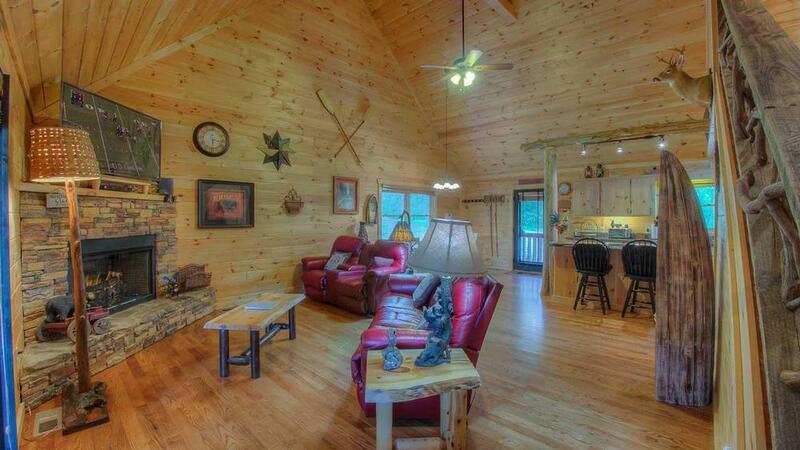 In the living room, comfortable sofas, rustic wood tables and a gas fireplace create an inviting ambience. 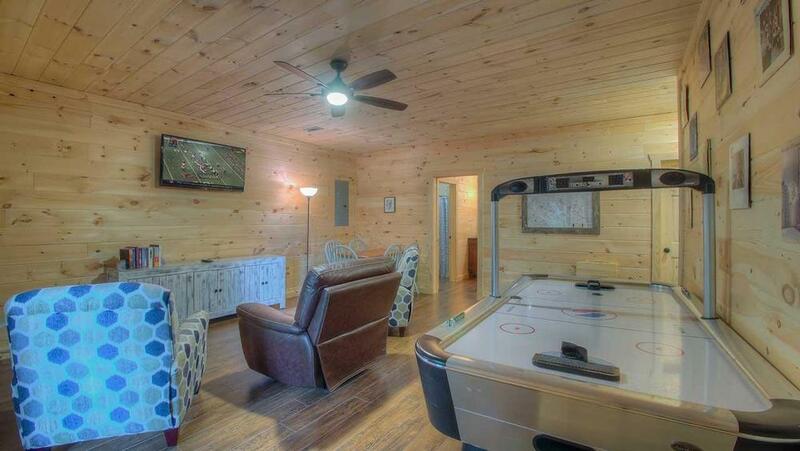 You can settle in and watch TV, one of five in the cabin, each with DirecTV. The kitchen, featuring wood cabinets, granite counters, black electric appliances, a drip and Keurig coffeemaker, toaster, and crockpot, provides everything you need to prepare meals and snacks. 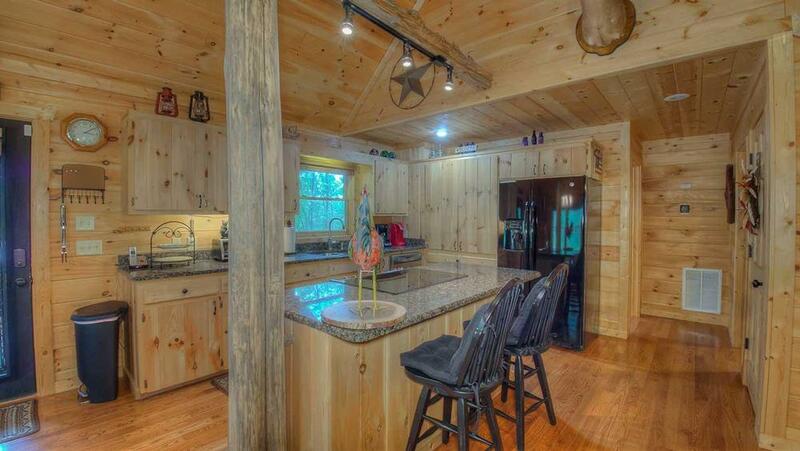 The dining table has room for six to eight, plus two at the breakfast bar. Additional dining available in game room for six as well. 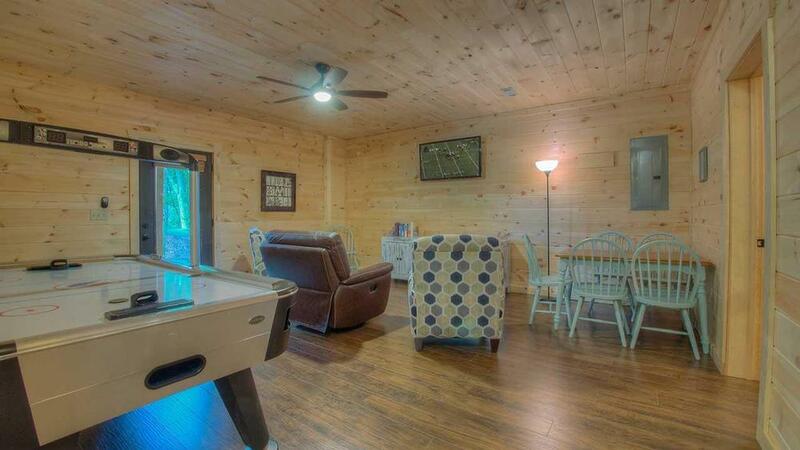 The screened porch on the main level has seating for eight along with a daybed for an afternoon nap! The wood burning fireplace provides warmth on a chilly day while you rock yourself to sleep in one of four rockers, all while gazing at the views and listening to the birds! 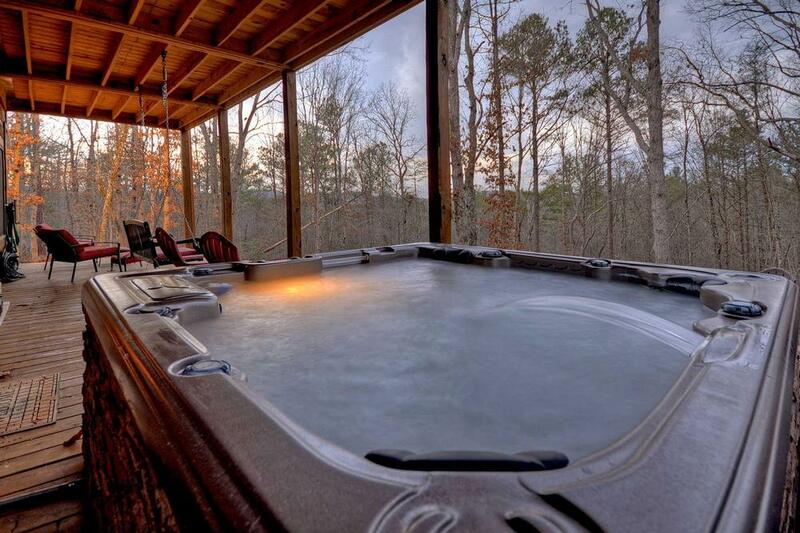 The lower level provides a fire pit with seating for six, a swing and a fabulous hot tub to soak your cares away! 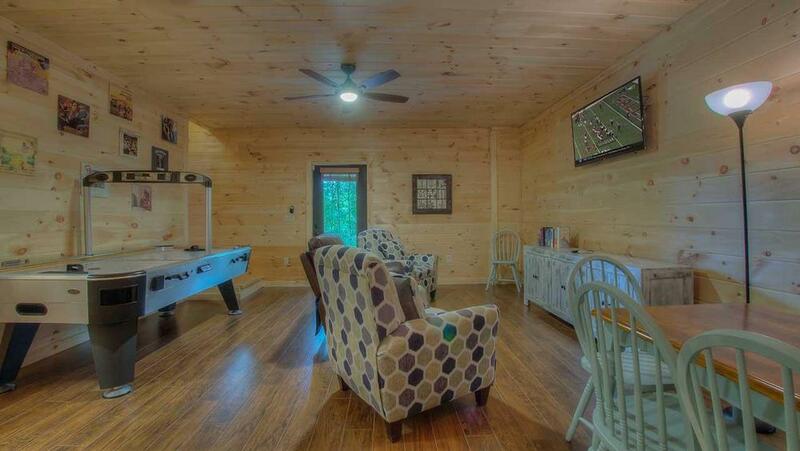 Plenty of room for the kids and dogs to play outside too. 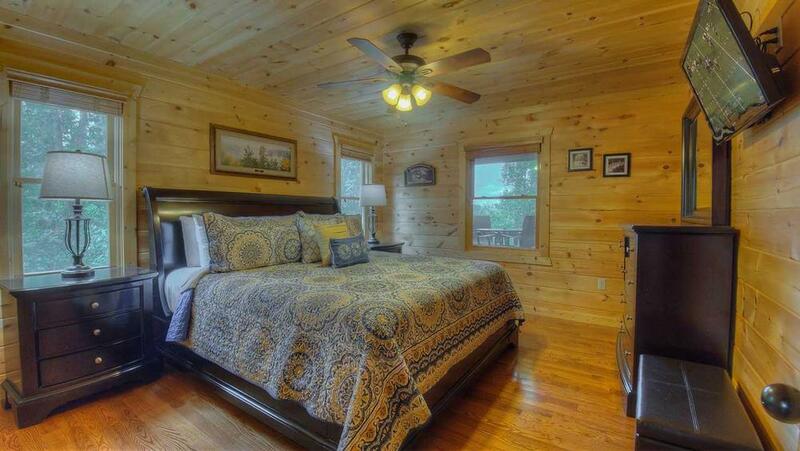 When it’s time to turn in for the night, the three bedrooms, all with flat screen TVs and lighted ceiling fans, will have you slumbering in amazing comfort. The upstairs master features a king bed and a screened-in balcony, and a bathroom with tile walk-in shower, the main level bedroom has a king bed and bath with tub and shower, and the downstairs bedroom has a queen bed, one set of bunk beds for the kids and sleeper sofa in game room complete with full bath. 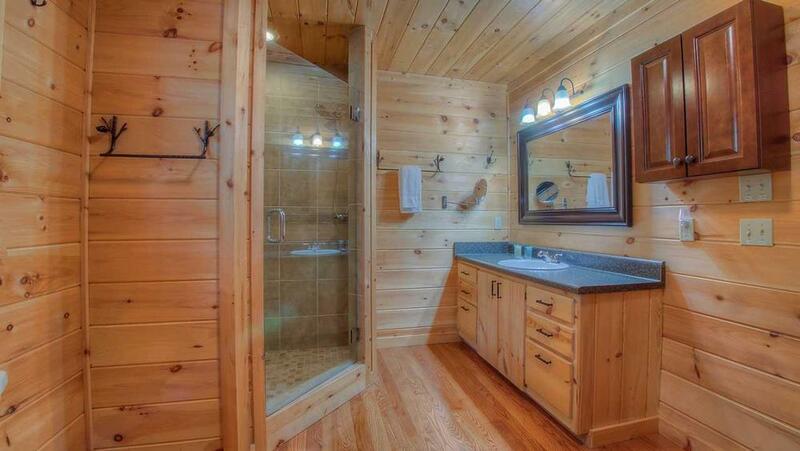 Other amenities include wireless Internet, washer and dryer, and gravel driveway. But most importantly, Windy Valley Retreat is exactly that: a retreat from the daily rat race where you can relax and unwind while appreciating nature and the ones you love. Very quiet! 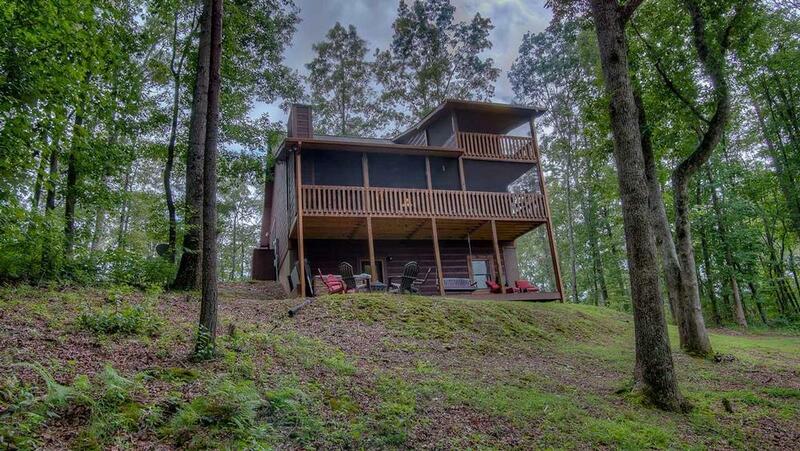 02/19 - This particular cabin had tvs in each room, 3 bedrooms and three full bathrooms, the kitchen was fully stocked and it was so spacious and clean! We loved every minute of it and it was affordable! Very professional company, will recommend and be back! 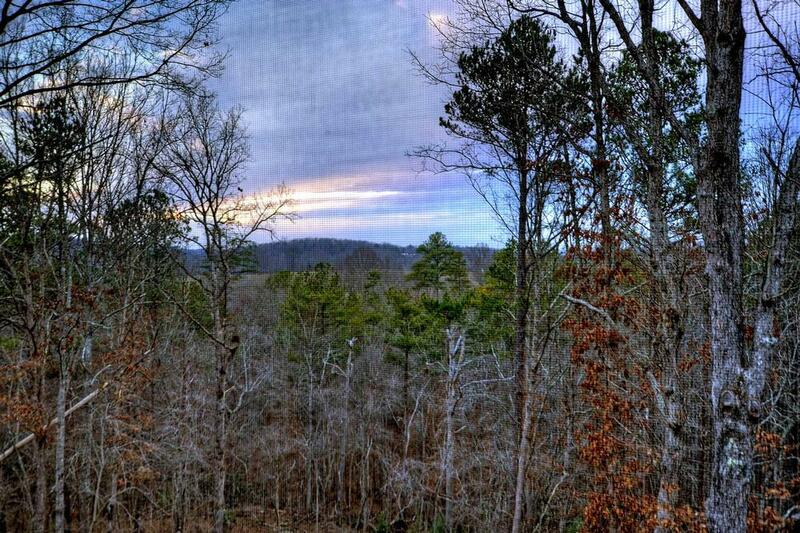 11/18 - Close to downtown Blue Ridge. Allowed Pets. 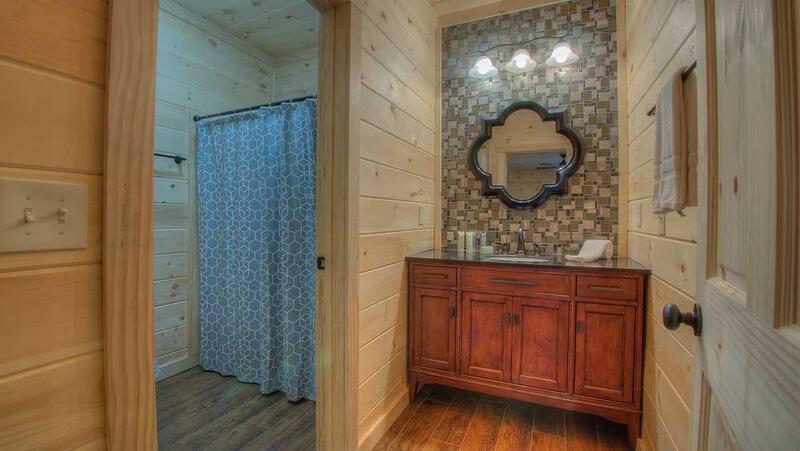 Very clean and decorated nicely. Cozy. Excellent company. Staff very accommodating and friendly. 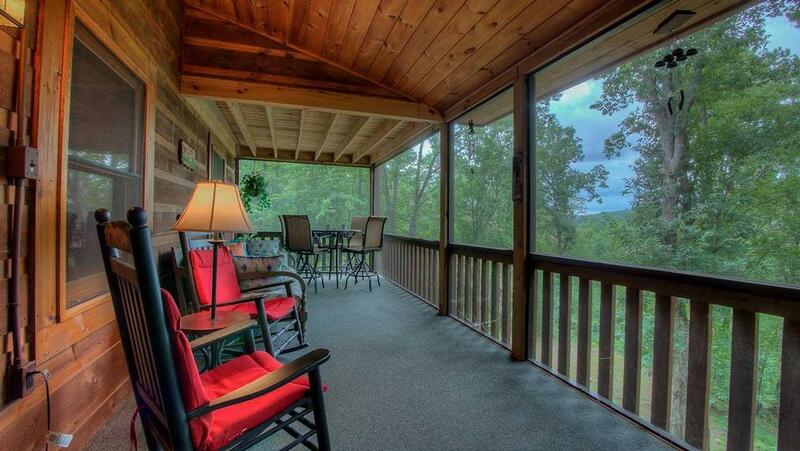 A pleasure to book with Escape to Blue Ridge. 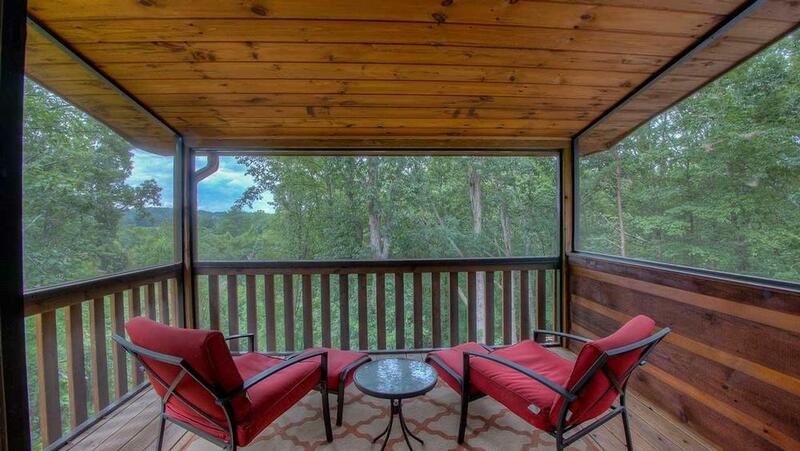 08/18 - Loved the screened in porches, outdoor fireplace and the comfortable bed. 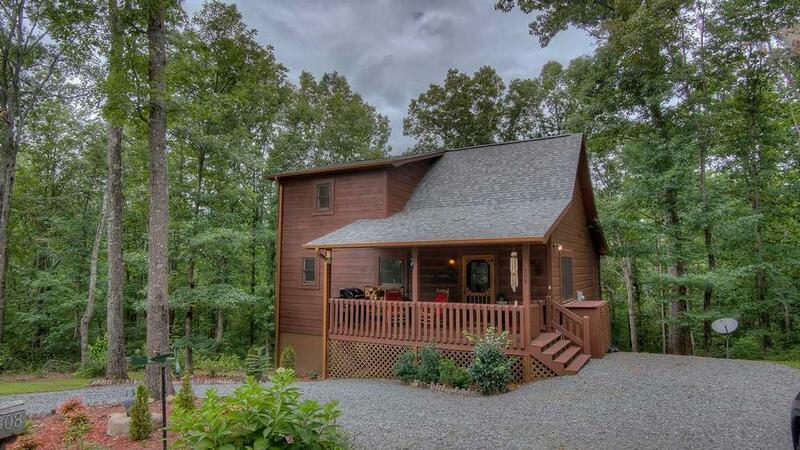 08/18 - Great location minutes from Blue Ridge, beautiful cabin, very clean, just perfect! The staff are very nice and helpful. 04/18 - Windy Valley Retreat was a very peaceful, beautiful cabin. It was well equipped and cozy with everything we needed. It was just the two of us and wonderful. 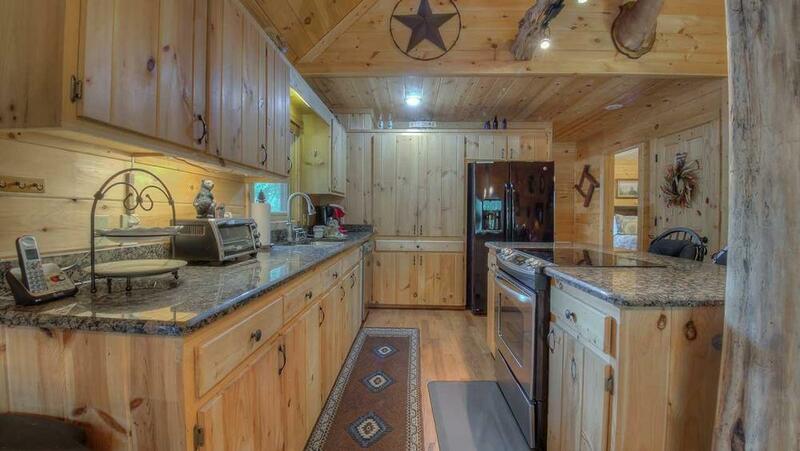 However, the cabin would be suitable for a large family. We look forward to our next visit. 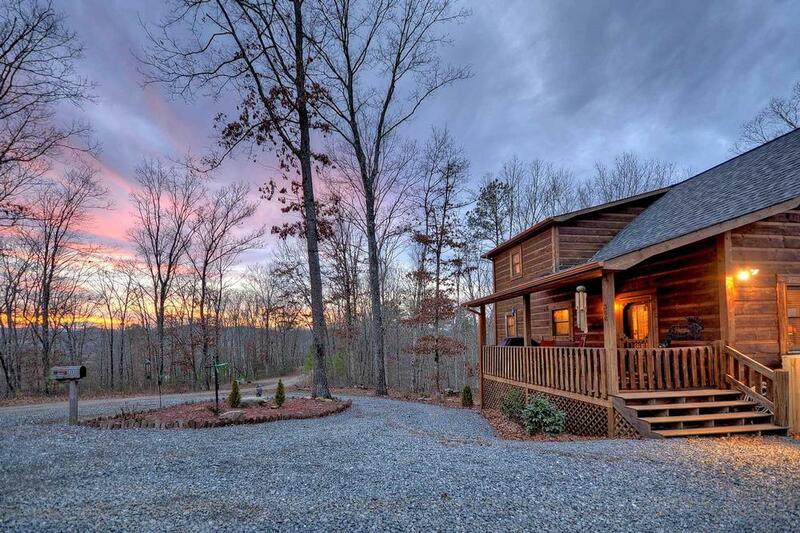 We've used Escape to Blue Ridge several times and keep coming back. All those we've dealt with have been very friendly and professional. 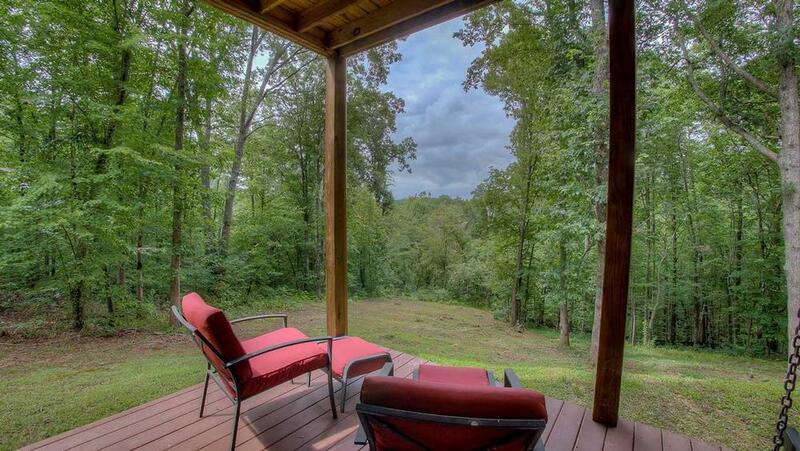 10/17- Great location, private but close to town. 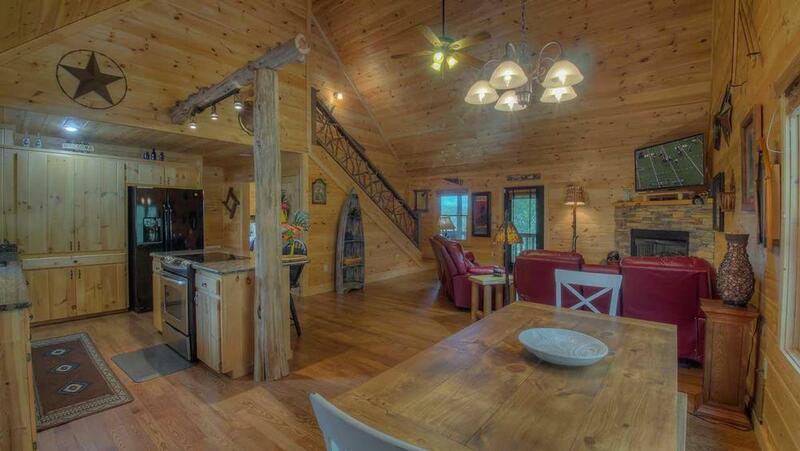 The house had all very clean appliances, kitchenware, firewood, towels, etc to make our stay super comfy. Excellent service. I called on a couple of questions and got great response. 08/17- The beds and pillows were very comfortable. The company has always been very easy to work with. 08/17- This house was amazing! Everything exceeded our expectations. We were very pleased with the staff. The were very quick to respond to questions either by phone or by email. 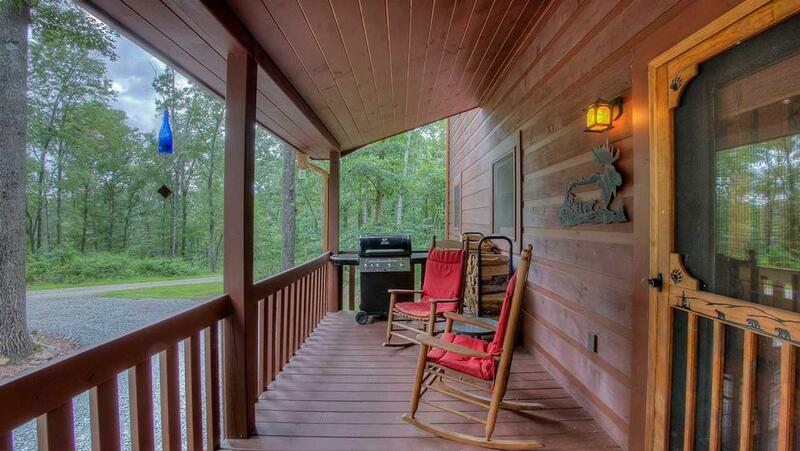 06/17- Enjoyed the hot tub, the location of the cabin and the screened in porch. 06/17- Our stay in your cabin was PERFECT! Our entire vacation was PERFECT! The WORST thing we encountered (and it was only because we didn't pay attention to your forewarning about GPS) was our GPS stopped us short of the cabin about 500 yards. Once we realized it wasn't the correct house number, everything resolved itself. You have a stand-up company that we look forward to dealing with for a long, long time into the future. 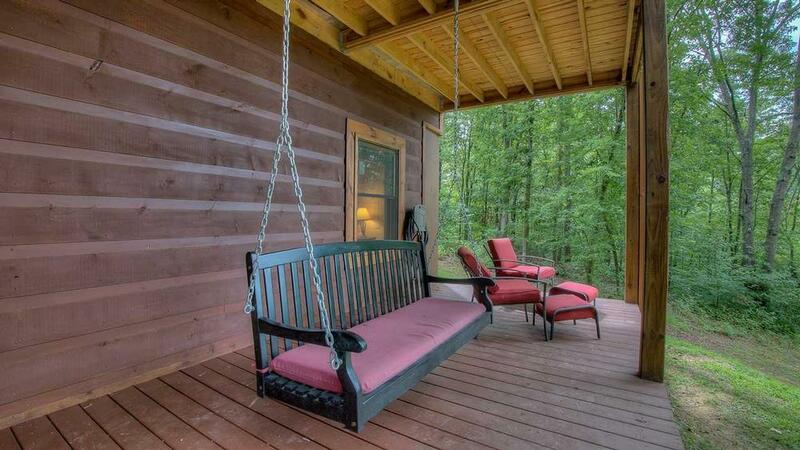 Blue Ridge, GA should be on everyone's list of places to visit and the people are simply amazing. 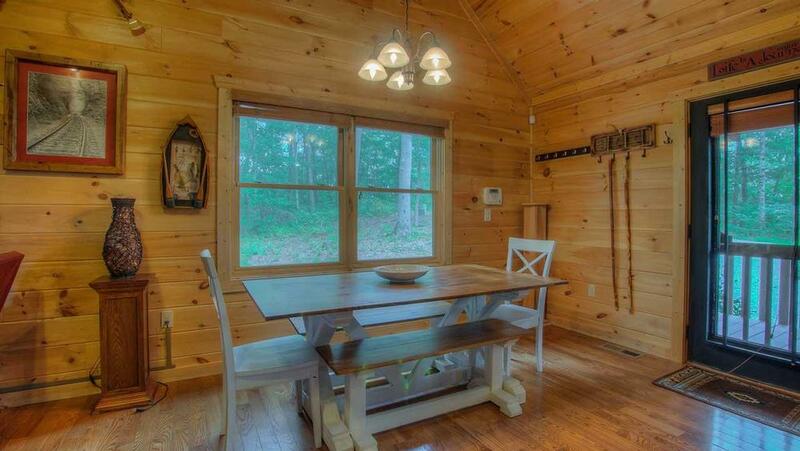 04/17- The cabin was well equipped and cozy. The company is a pleasure to work with. Very informative and helpful. 04/17- We enjoyed everything, from the hot tub and the fireplaces to lounging on the back porch. Great company, always communicative and easy to work with. 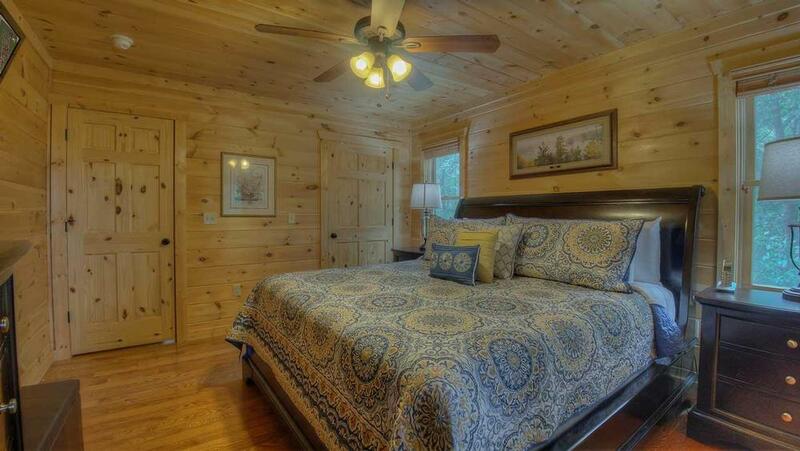 03/17- The cabin was very clean, the beds were comfortable and the kitchen was very well supplied.